It’s natural to be a little worried about leaving your belongings at a storage facility. Just remember that the security of your things are a top priority for the company—after all, the company doesn’t want a break-in to cause legal liability or ruin the facility’s reputation. High-security storage units in Mountain View take extra steps to safeguard your possessions. Myth: Anyone could walk in and steal my stuff. Reputable self-storage rental companies take the safety and security of their customers’ belongings very seriously. 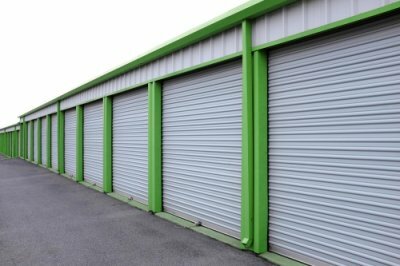 Good storage companies invest a great deal into their security measures. When you choose a facility, look for well-built security fences and gates. Most storage facilities secure the property with a high-tech alarm and electronic keypad access. Myth: Employees are rarely on-site. Once you rent a storage unit, you’ll have easy access to it whenever you want—without having to find an employee to help you. Unfortunately, this has led many people to mistakenly think that managers are rarely at the facility to supervise the grounds and protect the storage rentals. This isn’t the case at reputable storage facilities. Look for a company staffed by capable professionals who are readily available to keep an eye on the facility. Myth: I have to buy extra insurance, even if the facility looks safe. Most storage facilities do force their customers to purchase storage insurance coverage. This is usually unnecessary, and only adds additional fees to the rental. Look for a facility that accepts your current renter’s or homeowner’s insurance policy. Myth: If I’m a day late with the rent, my stuff can be auctioned off. This is a frightening prospect, but you can rest assured that your belongings will be protected by state law and the terms of your rental agreement. In California, absolutely nothing can be done to your rental unit until it’s been at least 14 consecutive days since the payment was missed. Even at that time, an auction can’t take place. The storage facility must send a written preliminary lien notice to the renter, which provides notification of the date of termination of the rental agreement. This date must be at least 14 days from the date of the notice. At that point, the facility owner must send another notice of a lien sale, notifying the renter when the unit will be auctioned. This date can’t be any less than 14 days from this second notice. At any point, the renter can satisfy the arrears and halt the sale. Just as when you’re packing for a move, when you pack for self storage, you can’t rely on tattered, old boxes from the grocery store. You need strong boxes that will adequately protect your belongings and that won’t get crushed when they are stacked on each other. Likewise, you need packing tape rather than masking tape or the other types of tape you may have lying around your house. Strong tape offers an additional layer of protection and helps your boxes keep their shape. An alternative to boxes and tape is plastic storage containers. These containers can be helpful, but be sure not to overload them, so that they are easy to move. When you move your belongings into a storage unit, the best thing to do is to store them off the ground. You may choose to put shelves along the walls of the unit for some smaller items, but placing wooden pallets on the floor is also helpful. With wooden pallets, everything you put in your unit, no matter the size, will be off the ground, which allows air to circulate and discourages pests. If you plan to store furniture, then you will need to cover it to protect it. Avoid using plastic furniture bags, which stifle airflow and allow odors and dampness to grow. Instead, use bubble wrap on parts of the furniture that are fragile, such as the legs and arms, and then use a cloth or sheet to cover the upholstery. Storage units are ideal for storing your musical instruments when they are not in use. With a little attention to the way you store them, you can ensure that your instruments stay in top condition, without paying extra for a climate-controlled unit. If you plan on putting your instruments in a storage unit in Mountain View, keep this advice in mind. When you’re packing your storage unit, it is best to keep instruments in the center of the unit. This protects them from any drafts that could come from the door or walls. Rather than storing them on the floor, put them on pallets or on shelving units. Keeping them off the ground will minimize the temperature changes the instruments are exposed to. If there are any open vents, make sure the air is not pointed directly at the instruments. 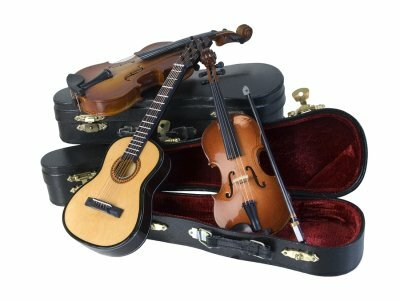 All musical instruments should be stored in their original cases, if possible. For stringed instruments, release the tension on the strings before storing. This will prevent the strings from damaging the necks of the instruments as they naturally contract and expand in response to temperature changes. Piano strings do not need to be detuned, since the plate can withstand the pressure of string expansion. For instruments that are not in secure cases, such as pianos, wrap them with heavy pads. Store baby grand pianos on their sides, but keep upright pianos in their usual positions. The longer your instruments are stored, the more likely they are to have string tension issues or other changes that require careful handling. Unpack your instruments gently when you take them out of storage as they readjust to the current temperature. Give the instruments some time before you retune them. If you have instruments wrapped in padding, unwrap them carefully, especially if they are wood instruments. The veneer on wood can sometimes stick to padding, so removing it gently will protect it from peeling. Self-storage in Mountain View can help you keep your home organized without having to give up possessions you love, from seasonal decorations to your book collection. However, getting the most from your storage unit means packing it the right way. Resist the urge to off-load boxes as quickly as possible when you’re moving into your unit, and instead, set it up so that you can easily access everything in the unit any time you need it. Protect your property and prevent headaches with these do’s and don’ts. Your storage unit is likely to be an empty shell, so prepare it for your belongings before you unpack. Pallets will keep your boxes off the floor, which helps to protect them from moisture. Adding freestanding shelves will make it easier to keep your items organized. Keep in mind that while plastic is a good protectant for the floor or for your shelves, it should never be used to wrap boxes, furniture, or other items. Doing so will prevent your items from breathing and trap moisture inside, where it can lead to mold and mildew. Food and plants should never be stored in a storage unit, even for a short amount of time. They can attract bugs and rodents, which put all your belongings and the belongings of everyone else who uses the storage facility at risk. Packing and storing anything that is flammable, such as oils, propane, fuel, and ammunition is not permitted. If you have gas-powered items to store, drain them of their fuel before putting them in storage. Every box that goes into storage should be clearly labeled with the exact contents. Place boxes at least one inch from the wall to allow for ventilation. Put boxes with items you will use on a regular basis, such as seasonal decorations, near the front of the unit, so you can access them easily. 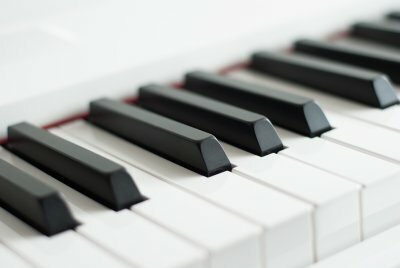 Can I Store My Piano? A piano is a cherished item that may stay in your family for generations. However, there may come a time when your home does not have the space necessary to store this large musical instrument. As you are reviewing your storage options in Mountain View , consider renting a self storage unit that is large enough to house your piano. By placing your piano in a storage unit, you can rest assured that it is in a safe and secure location. To help you prepare for storing your musical instrument, here is a look at some piano storage tips. Dust can cause significant damage to your piano’s keys and other delicate components. When you are preparing to store your piano, you will need to take the steps that are necessary to prevent dust from accumulating within your instrument. A special cloth pad can be placed over the keys to keep dust away. Before you cover your piano, take the time to ensure that it has been dusted thoroughly. Before you move your piano into your storage unit, you will need to take the time to make sure that is has been properly cleaned and polished. Placing a dirty piano in storage can lead to the deterioration of its exterior surfaces over time. A special piano polishing product can be used to clean, buff, and protect the body of your piano. Once you have taken the time to clean any dirt or residue from your piano, you will be ready to start the moving and packing process. Pianos are very delicate, and they can become seriously damaged if they are not moved with the utmost care. If you are planning on placing your piano into storage, consider investing in a protective covering that will prevent bumps, scratches, and other forms of damage. Along with protecting your piano during the move, the cover can provide another layer of protection against dust and humidity. 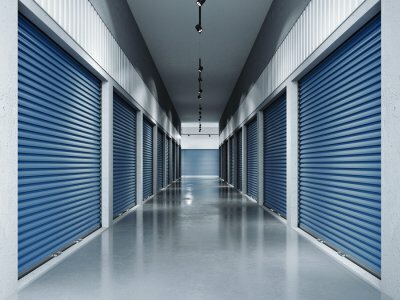 What Happens to a Storage Unit After the Renter Dies? When a loved one passes away, you may be faced with the difficult task of sorting through their belongings. If your friend or family member has a storage unit near Mountain View , you will need to get in contact with the storage rental company as soon as possible. Your storage unit company will be able to provide you with a prorated rental discount while you take the time to sort through the items that were left in the unit. Let’s take a look at what happens to a storage unit after the renter dies. The storage center is contacted. After a renter passes away, their next of kin will oversee contacting the storage rental company. Ideally, the initial contact will occur within weeks or months of the person’s passing. When the storage rental company is contacted, they will be able to start making the necessary arrangements to either clear out the storage unit or renew the contract in the next of kin’s name. You or your family members will need to be provided with access to the deceased’s storage unit rental. If your loved one provided you with access before he or she passed away, you will be able to easily find the storage rental location and unit number. In the event that your loved one did not pass on this information, you may have to obtain special access from the rental company. Rent is prorated or refunded. A storage rental company will typically work with you to provide you with a prorated refund of the rental cost. Rather than having to continue to make payments on the price of the storage unit rental, you can typically receive a refund for the time remaining on the rental. If you have questions about the process of clearing out a storage unit rental after a loved one passes away, do not hesitate to call your local storage facility. At Independence Storage, we are highly committed to the satisfaction of our customers. When you rent one of our storage units near Palo Alto, you will benefit from our state of the art facility and convenient storage rental services. One terrific service that we are pleased to offer is our convenient online access system. Using our online tools, you can manage your account and make sure that your storage rental is meeting all of your needs. There are several terrific benefits to our convenient online access system. As a customer, you will be provided with a secure login that allows you to take a look at your account and billing. Whether you need to make a payment or review your current account activity, our online tools make it easy to accomplish these tasks from the comfort of your personal computer or mobile device. Visit our website to learn more about our online tools and state-of-the-art storage facilities. Independence Storage is devoted to giving our clients the most secure and safe storage unit options available. We want our clients to feel comfortable storing their most precious items with us, so they can enjoy a clutter-free home and peace of mind about the safety of their valuables. Let’s take a look at the security and safety features found with our storage rental company near Mountain View . Each storage unit on our lot has a security alarm and fire sprinklers in case of an emergency. Clients also have individual keycodes to gain access into the self-storage facility through a security gate. In addition to these individual security measures, Independence Storage also provides on-site managers to watch over our entire storage facility. These security and safety measures help us to monitor each client’s valuables to ensure there are no thefts or damages. Learn more about our many security features by calling Independence Storage right away. 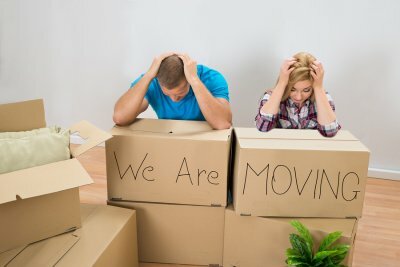 It is important to pack your fragile belongings , such as dishes, correctly to keep them from breaking during a move to your storage unit in Palo Alto. To keep your dishes truly secure against breakage, use dish-specific moving boxes and moving paper. Read on for how to use these items to pack your dishes for self-storage. As you can see in the video, packing dishes for storage is not a difficult process. Ensure there is ample paper at the bottom of your box. Place a dish in the middle of a stack of moving papers, and fold one edge over the plate. Place another dish onto the covered dish, and cover that plate. Use this process for four plates at a time, and fold over the rest of the corners. Put the secure stack of dishes vertically into the box and continue until full. Move each box into your storage unit with care. Your home’s garage may tend to accumulate tools, sporting equipment, and a variety of other items. 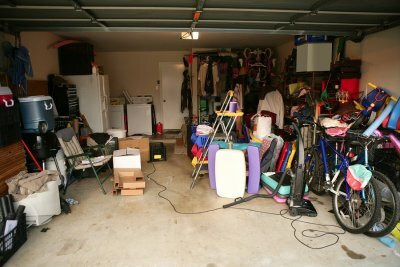 If you have started to notice that your garage clutter has gotten out of control, it may be time to consider renting a storage unit. With a storage unit rental in Mountain View , you will be able to clear out any non-essential items from your garage, without having to donate or throw them away. To highlight the advantages of working with your local storage rental company to clear out your home, here is a look at some solutions that you can use to de-clutter your garage. In order to keep the clutter in your garage in check, it is important to make sure that your space contains plenty of storage areas. If you do not already have closets or shelves built into your garage space, you may want to consider purchasing portable shelving and storage benches from your local hardware store. By creating a place for all of your stuff, you will be able to clear up additional space in your garage. Garages often become storage spaces for non-essential items. In order to clear out the clutter from your garage, it is important to take inventory of the belongings that are no longer useful to you. Bikes and sporting equipment from your children’s earliest years may not have a function for your family. If you have not used an item in more than a year, it may be time to consider sending it to the donation center. If your garage remains cluttered, even after your best attempts at clearing out more space, you may be a good candidate for a storage unit rental. When you rent a storage unit, you can ensure that you have ample storage space to house all of your belongings. Tools, books, sporting equipment, and other essential items can be safely stored in your storage unit, rather than in your garage. If maintaining a clean and tidy workspace is among your New Year’s resolutions, you may want to take the time to declutter your office environment. Removing excess office supplies, paper, and other items will make your office much easier to clean. With a storage unit rental in Mountain View , you can safely store any essential items that may be cluttering up your workstation. Storage units are great for housing paper, office supplies, and any other materials that are crowding up your office. To highlight the terrific benefits of a storage unit rental, here is a look at three quick ideas that will help you declutter your office. One of the most effective strategies for decluttering your office is to make sure that the surface of your desk remains as clean and tidy as possible. Rather than stacking mail, documents, and other nonessential items on the surface of your desk, you can file them safely away. By taking a minimalist approach to your desk, you can provide your office space with a tidier look and feel. A modern office typically contains several different electronic devices, including computers, printers, fax machines, and phones. When you are decluttering your office, you will want to make sure that your electronics are as organized as possible. For example, it is a terrific idea to take the time to tame your power cords using twist ties or other forms of housing. Getting electronic cords off of your desk will free up additional empty space. Rather than facing the hard choice of having to throw certain items away, you may want to instead rent a storage unit for those excess materials that seem to be cluttering up your office. When you place your extra office items in storage, you can rest assured that they are secure and protected from water and sunlight. Your storage rental facility can provide you with additional information about the benefits of renting a storage unit for your office. 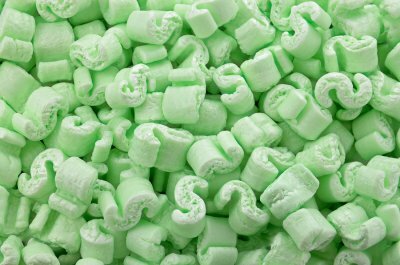 Packing materials are the key to keeping your belongings safe during a move or in temporary storage near Palo Alto. Packing paper, item specific boxes, and labels will keep your items protected while sitting in a storage unit, and they can make it easier to move items throughout your new house. Let’s take a closer look at the essential packing materials you will need the next time you move. Using the correct boxes to pack and store specific items is the key to keeping these items safe and secure while moving or sitting in storage. For example, your mirrors and artwork should be moved or stored in mirror-specific boxes. If you no longer have the original packages these items came in, then ask your storage rental company or professional movers for narrow boxes that will fit and safely contain your fragile mirrors and artwork. You can also purchase wardrobe boxes that have a hangar rod in them; these boxes will help you move and store your hanging clothes and other items that can safely fit in the box. 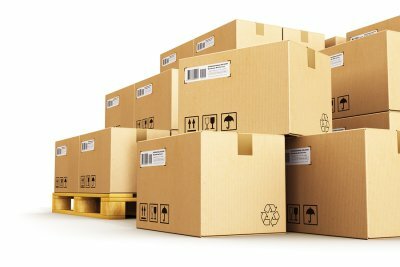 Speak with your storage rental company about available boxes that can be used to move or store certain items correctly. One of the simplest, yet often overlooked, packing aids are labeling materials. Purchase large, colored markers, colored tape, and any other colored labels that can safely affix to your items and the walls of your house. By labeling your boxes with a marker, you can clearly locate what is in every box and where it should be packed. You can use different colors to denote different areas of your house. Label each room with the corresponding colored tape so that movers can easily place boxes and furniture where they should be. In addition to the correct boxes, you need to use the correct materials to keep your items safe while traveling or in your storage unit. Bubble wrap and packing paper will be the items of choice to keep your mirrors, dishes, and other fragile items safe. Storage rental locations offer individuals a convenient way to store their belongings outside their home, which can be particularly beneficial for students. Continue reading to learn about a few of the reasons why renting a storage unit in Mountain View can be a smart choice for students. If you’re like most students, then you probably find yourself with more belongings in your place than you can comfortably store. You may also have plenty of items back home that you wish you could have on hand for certain occasions, such as holiday décor or sports equipment. If this sounds like you, then you are one of the many students who could benefit from moving some of their items into a storage rental. For many students, frequent changes in living arrangements are standard. If you are planning to move into a new place or are traveling home for the holidays, then you may realize how challenging it is to repeatedly move from place to place. Student storage units can make moving and traveling easier by providing you with a place to store your items while going from one location to another. Student life can be busy and overwhelming at times. If you have too much clutter, then moving some of your items into storage until you need them again can make it easier to keep your place neat and give you less to worry about. Also, trying to move out of a place in the span of a day or so can be incredibly stressful, but self-storage options provide you with a way to move out at your own pace. At the end of each semester, do you find yourself trying to pack everything that you have into your car and then spending a good portion of your time off unpacking and organizing? If so, then consider taking advantage of a storage unit. This option allows you to neatly pack and store your belongings and to leave them conveniently near school until you head back again to begin classes. Are you thinking about renting a storage unit , storage shed rental, or other storage option in Palo Alto? If so, then you may benefit from learning how to make quick and smart decisions to help you eliminate unnecessary belongings. Clutter is usually the result of a lack of decision-making, so being able to make better and faster decisions can be crucial for organizing your home. So you’ll have fewer items to put into self-storage, watch this video for steps to get rid of clutter. First, take ownership of the clutter so that a decision can be made. Next, set a deadline for yourself to help motivate the process. Third, narrow your options for how you will handle particular types of clutter. For example, if you have a pile of papers, you can either take action on it, file it away for later, or throw it in the trash. When packing your picture frames for temporary storage in Mountain View, there is a right way to keep them protected. Picture frames should be moved and stored in boxes specifically meant to hold these items in self-storage. This will ensure that they are properly protected while they set in your storage unit . Watch the video for the right way to pack your picture frames in a frame box. Set your picture in the middle of several sheets of packing paper. Fold the paper around the frame, like you would if you were wrapping a present. Tape the sides down, and label the paper. Stuff paper into the frame box to rest on the bottom, and slowly slide the wrapped frame into the box. Stuff more paper into the top of the box, and tape it shut. Label the box so it does not get lost in the storage unit. Do You Need Insurance for Your Storage Facility? No matter what you store in your storage unit, it is recommended by all storage rental companies that you keep your items insured. Your items should be protected by being at a secure storage unit near Palo Alto , and you should have the added protection of insurance in the event something unfortunate occurs. Most homeowner’s and renter’s insurances will cover the items that you keep in your storage unit. It is best to double check with your insurance, though. 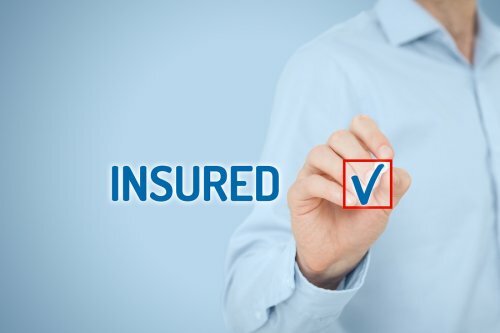 If your insurance company does not cover your items in storage, then your storage rental company will most likely have policies to offer you. It is necessary to insure your storage items. In the unlikely event that your storage unit is invaded or vandalized, your insurance policy can cover the damages. 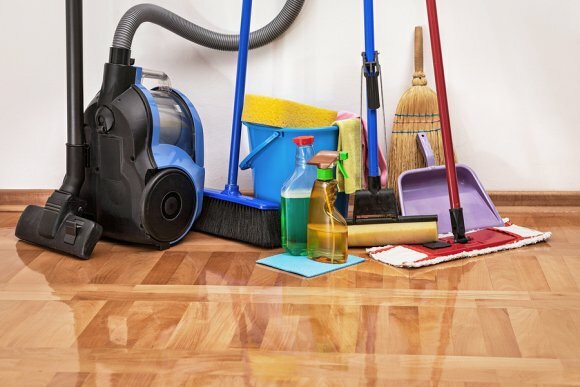 Policies may also cover potential water damage or pest damage, if these were to occur. Speak with your storage rental company and insurance company on the best ways to protect your items from damage. When you are packing clothes to place in a storage unit near Palo Alto, there are several factors that you will want to keep in mind. By preparing your clothing before it is placed in your storage rental , you can save time and energy when it comes time to unpack your belongings. For example, it is a great idea to wash and fold your clothes before they are placed in your storage unit rental. You can get more tips by watching this video. Clean clothes will be fresh and appealing when they are taken out of a storage unit. Additionally, it is also a terrific idea to group similar types of clothing as you pack. For example, you may want to designate a specific box for your winter clothes. A company that offers storage options can provide you with the perfect space for storing your extra clothes. A temporary storage unit can provide you with valuable space during your next transition. When you are choosing a storage rental company near Palo Alto , you will want to make sure that your storage options include high quality security features. With advanced security and safety systems, your storage rental company will be able to provide you with total assurance that your valuable belongings are protected from theft and harm. 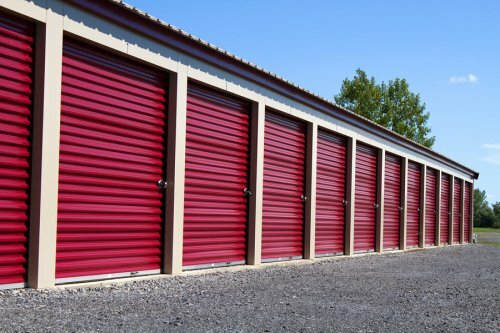 If you are gearing up to rent a storage unit, be sure to read on to learn more about how to judge the security features of a storage facility. One of the most important security features for any storage unit is a quality alarm system. A security alarm will deter burglars, and will also notify the proper authorities immediately when a break-in takes place. As you are considering renting a storage unit, you may want to ask your storage company about what type of alarm system they have installed in their facility. Video surveillance is another must for any quality storage unit facility. Since there are typically many people coming and going from a storage facility throughout the course of a given day, a video surveillance system will allow the security personnel at your facility to keep track of who enters and leaves. Additionally, in the unfortunate event that a crime occurs at a storage facility, video surveillance will provide valuable assistance towards identifying and apprehending the criminal. Finally, you will also want to evaluate the quality and condition of the locks that are installed throughout the storage unit facility. For example, you may want to seek out a storage facility that offers password or passkey access to each individual storage unit. With a passkey access system, you can rest assured that you are the only person who has access to your stored belongings. Additionally, you may also want to determine whether your facility has secure padlocks or other physical locking mechanisms. 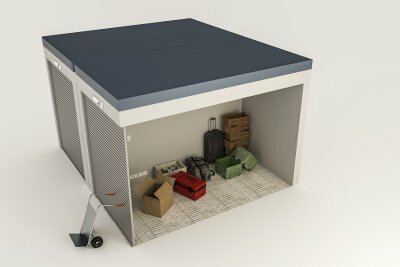 What Items Cannot Be Put in a Storage Unit? Storing items is a great way to keep them safe without taking up valuable space in your home. You’ve made the decision to rent a high quality storage unit in Palo Alto, but you need to know exactly what you can, and cannot, keep in your new storage unit. For the most part, almost anything can go in a storage unit rental. This means that your possibilities are endless as long as it can fit in the unit. However, there are only a few kinds of products that can’t be stored no matter their size. If you’re storing something toxic or living, such as chemicals or an animal, then you need to look elsewhere for storage. The same goes for edible items and flammable products. These are all potential hazards, either to the people or items in the storage facility. 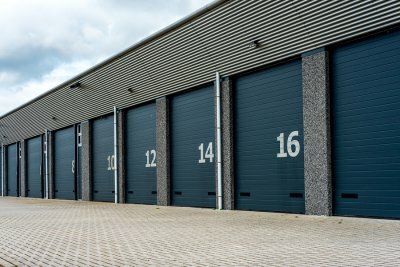 Your storage facility might have further restrictions on their units, but these are the most common. Always follow the rules of your facility. Moving items into your first self-storage unit in Palo Alto can be a stressful time. Usually you’re moving or downsizing your home, and you might already feel frazzled. Don’t let yourself get caught in common, yet less-known, mistakes when packing your storage unit for the first time. Whether you’re using a professional moving company or your own group of friends, make sure the moving truck will fit through the aisles and roads of the self-storage facility. To make room for as many units as they can, storage facilities may have tight corners and narrow aisles, big enough for a standard truck, but not a professional moving truck. 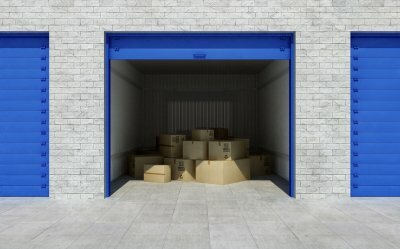 If the truck may not fit well through the facility, ask if there is another entrance closer to your storage unit rental. If the truck won’t fit, ask the moving company what their options are for transporting your furniture and possessions from the truck through the facility to the unit. You need to give your movers directions, not just to the facility, but for moving your personal objects. Planning ahead is one of the foundations of moving effectively. You need to tell your movers exactly where to put your kitchen supplies or bedroom furniture in the storage unit. This is going to save them a lot of frustration and you a lot of unneeded stress when you’re trying to find something later. Movers, professional or personal, can’t read your mind, so you need to provide clear, organized direction. There’s almost nothing worse than packing everything up to go in the storage unit and finding out the unit isn’t big enough for what you have. The best ways you can combat this annoyance is to heed the advice of the storage facility and measure your belongings. If everything is in boxes or large furniture, judging how big of a unit you’ll need will be easier, but when in doubt, rent a bigger unit.